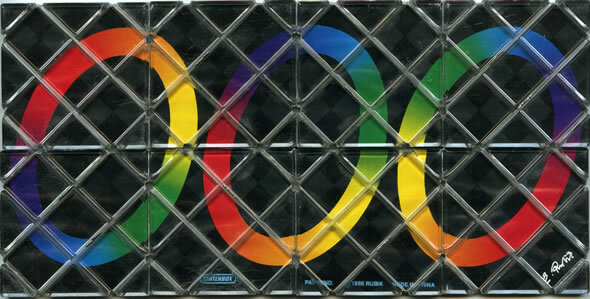 In 1986, Erno Rubik created a challenging step-up from the original Rubik's cube. Actually, he and Matchbox produced eight plastic squares held together by fishing line. 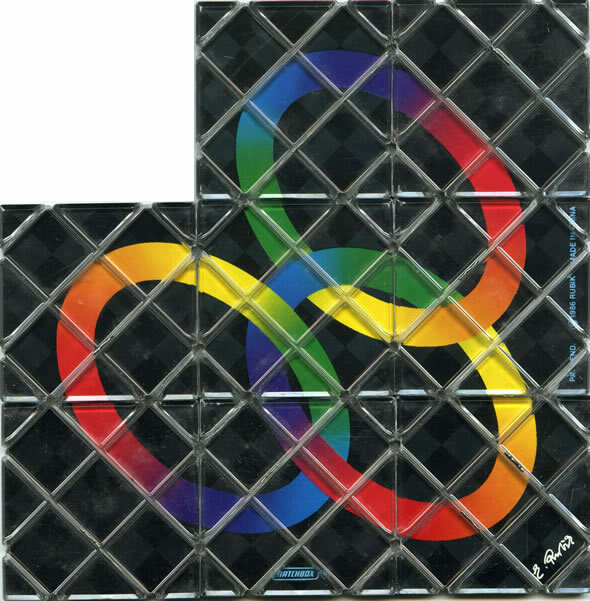 The object of the Rubik's Magic Puzzle was to start with the image of three separate rings, make a series of folds to the puzzle, and finish with the appearance of three interlocking rings. 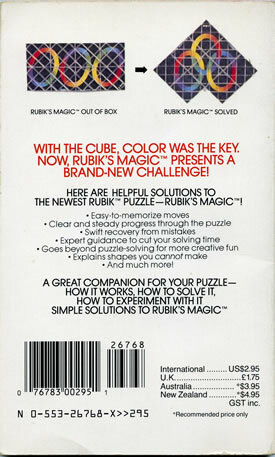 Christmas of 1986 brought a Rubik's Magic Puzzle to both me and my brother. After hours of trial and error, a bit of dumb luck eventually paid off as I solved my puzzle by accident. Eventually, I stumbled upon a solution to this puzzle which can be completed in just eleven moves. While I'm sure there are even more efficient solutions out there (take a look on YouTube, for crying out loud), this solution is mine. I'm sure I'm not the only one who knows this particular solution, but as a ten-year-old, I discovered it on my own and proudly remember it to this day. Over the course of time, one of the two puzzles has been lost to some forceful folding but one of the two still remains. 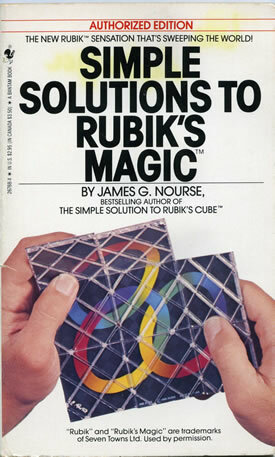 While some people may consider this cheating, I did drop $2.95 from my kid budget to buy a copy of James G. Norse's Simple Solutions to Rubik's Magic. Now before you jump to conclusions, let me say that my eleven-move solution is not in this book so keep your assumptions to yourself. Besides, how credible can a solution book be if the publishers position the picture of the solved puzzle upside-down on the back cover? There are many other challenges to be tackled when it comes to the Rubik's Magic Puzzle but I'm good with the basic solution. I'll leave the more creative stuff to the next generation. I had this puzzle and I swear until today I never knew what the goal was. I didn't like to read directions back then. I just bought the 6 pieces puzzle and it looks, smells, and operates just as the original....I think it IS the original! I'm back to the 80's again! Rudy -- Thanks for sharing the link. There's some pretty cool stuff there like the ones that are more pieces than the original. Not sure I've got the patience to try and tackle one of those!